Get your tastebuds ready. 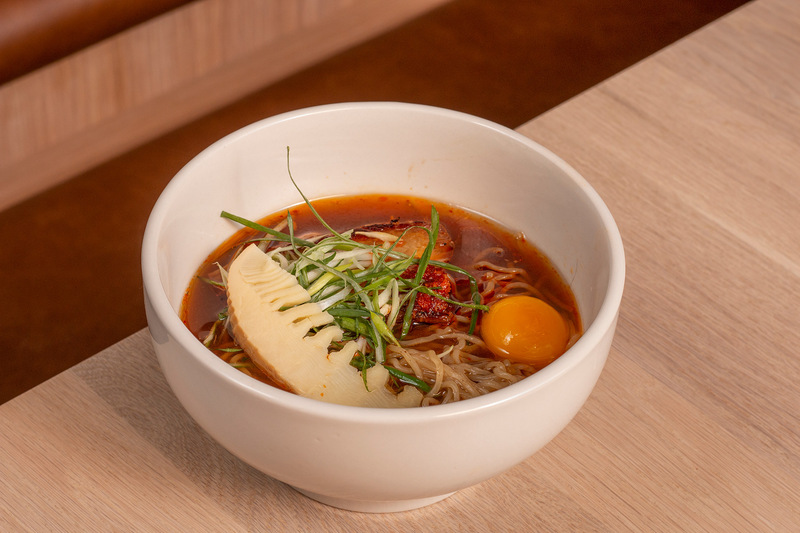 Momofuku Chef and Founder David Chang has added two cutting-edge food concepts to the The Restaurant and Bar Collection at The Shops at Columbus Circle: a brand new to-go concept, Bāng Bar, and a second New York City location of Momofuku Noodle Bar. Putting a modern American spin on Asian cuisine, these culinary hot spots are definitely going to shake up the way you think about noodles and more. Here are six delicious reasons to make your way to Columbus Circle right now. 1. The Buns at Noodle Bar. The Momofuku buns you know and love are getting split, stacked, stuffed, and reimagined. Don’t miss the Beef Dip, stuffed with short rib and served with seasoned beef broth and black vinegar for dipping. 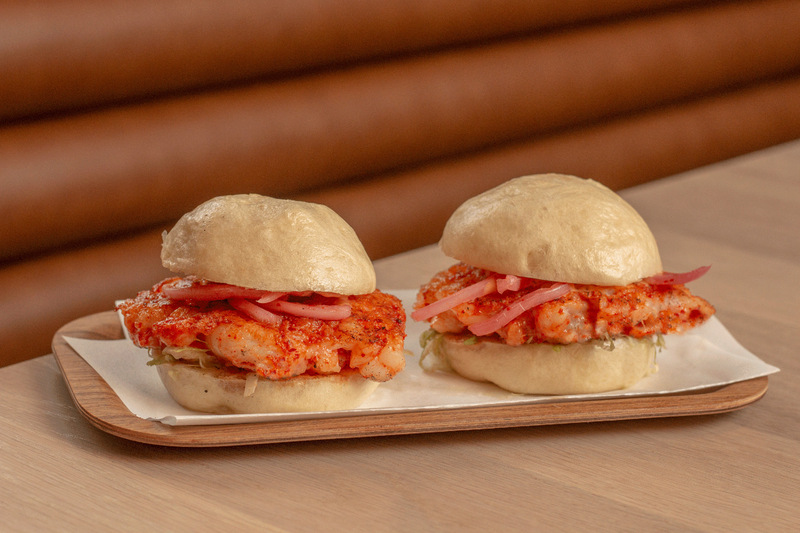 Another favorite: the Seared Shrimp, which features slider-style buns stacked with gulf shrimp, spicy mayo, pickled red onion, and iceberg lettuce. Fun fact: All of Momofuku’s steamed bread production is done in-house to allow for creative riffing. 2. Noodles at Noodle Bar. 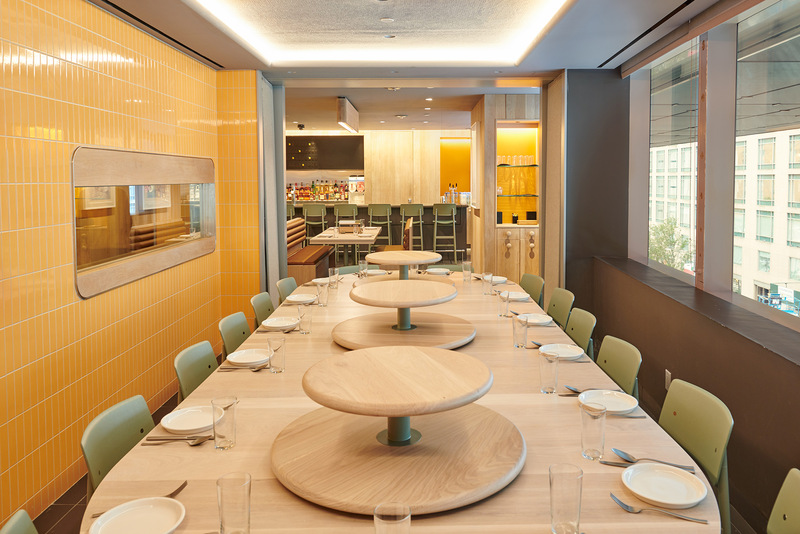 Momofuku is taking noodles up a notch or two or three. The restaurant has developed a proprietary barley noodle in collaboration with Sun Noodle. Springier and nuttier, these noodles are used in the Spicy Beef Ramen with brisket and water spinach, the Garlic Chicken Ramen with yu choy and garlic, and the Smoked Pork Ramen with pork belly and egg yolk. 3. Karaoke. You’ve never seen a private dining room like this. An exclusive space can seat you and your best friends and family — up to 18 people — for the most epic celebration dinner ever. WITH Karaoke. Enough said. 4. Soda Grows Up. 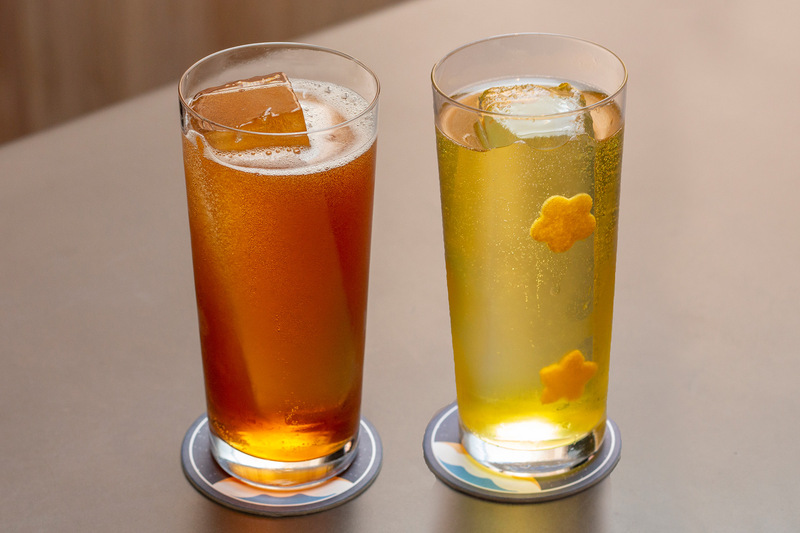 Momofuku’s Bar Director Lucas Swallows collaborated with Anne Robinson (Booker & Dax, Dutch Kills) to develop a highball program for Momofuku Noodle Bar. What is a highball, you ask? Simply put, it’s an alcoholic soda. Sip on the Fun Guy Soda, designed to taste like cream soda, which features red vermouth, scotch, cacao, and shiitake soju. And sample the Sherry Berry, which blends cranberry-sherry justino, cherry, and amaro. 5. Move Over, Bacon Egg and Cheese. 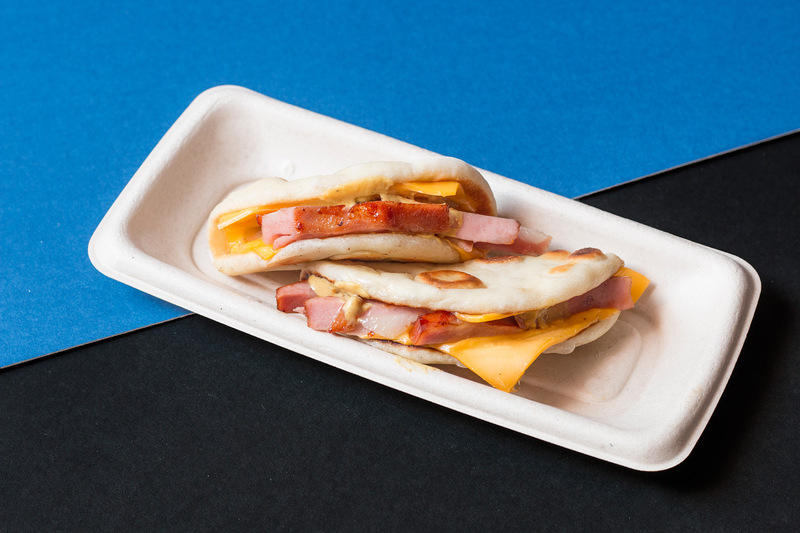 Bāng (flatbread) is filled with spit-roasted mortadella, melted American cheese, and spicy mustard for the dream breakfast sandwich. Read all about it here. 6. Mall Food, Revisited. Do you ever get nostalgic for Cinnabon, that classic mall snack? 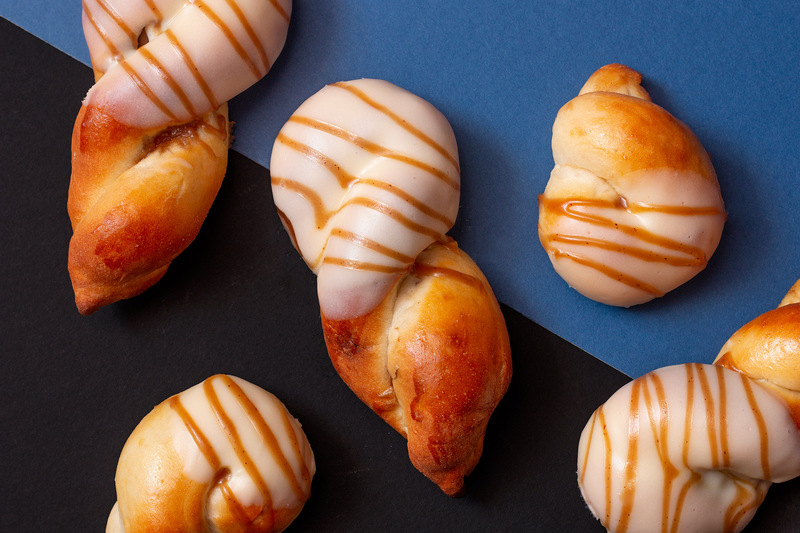 Bāng Bar understands, and has reinvented this guilty pleasure with the Kkwabaegi: twisted and baked cinnamon rolls with chickpea hozon from the Momofuku Culinary Lab, cream cheese frosting, and a butterscotch drizzle.